It’s really never too early to start thinking about career paths for your little one. We know what you’re thinking. Something like a doctor or an engineer would be fantastic. Those are both pretty great careers to get a kid interested in. The job market is great and the pay is very competitive. We’re here to suggest another option—one that so often gets looked over in this modern day and age. Ghostbuster. Just hear us out on this one. You’ve seen the movies. It’s a much-needed service. If we didn’t have Ghostbusters, then Gozer the Gozerian would have wreaked havoc upon the mortal world. If we didn’t have Ghostbusters, then Vigo the Carpathian would have been let loose on the poor people of New York City. The truth is, SOMEONE has to deal with all those supernatural threats that show and we don’t think that Stantz, Spengler, Venkman, and Zeddemore will be able to keep saving our butts (they’re getting on in age these days). And besides… what’s cooler than getting to drive the Ecto-1? 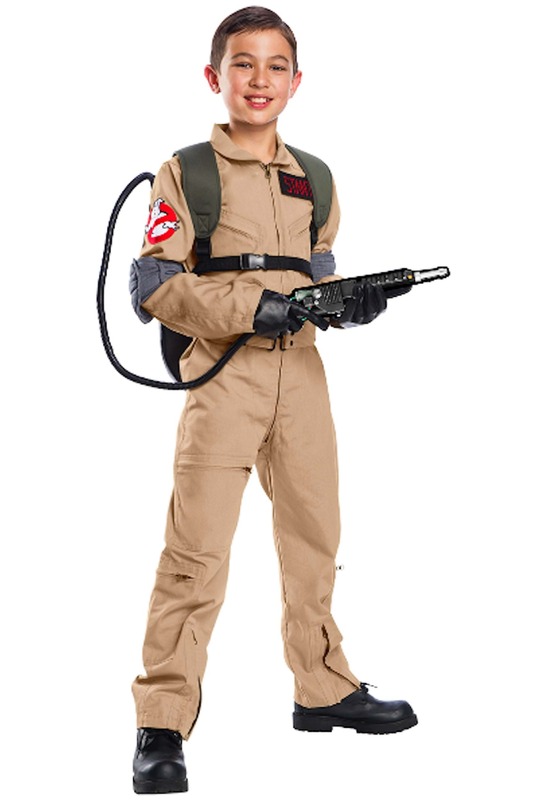 Your child can have his chance at the job by wearing this premium Ghostbusters costume for kids! This officially licensed child Ghostbusters costume brings your child an experience like no other! The costume comes with a tan work jumpsuit that zips up in front. It has long sleeves, various pockets and a Ghostbusters patch on the shoulder. It also has a name tag on the chest. The costume also has elbow pads to help your young one feel prepared for any kind of ghoulish disturbance. 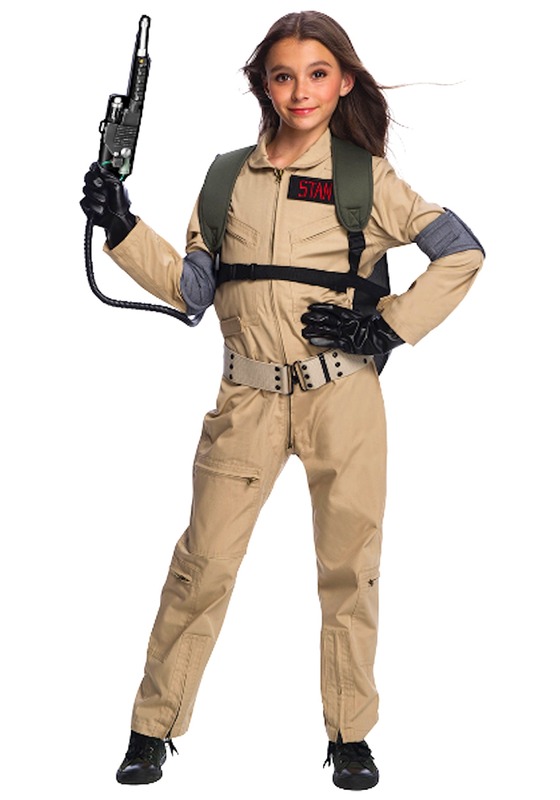 Now, this Ghostbusters outfit might give your child the correct look for the job, but you’re going to need to train them how to blast those evil ghosts into oblivion. You might even want to consider suiting up in one of our adult Ghostbusters costumes to create your own team! Good quality however sizing an issue. Ordered and received a X-small which based on the length would seem to fit a 12-14 year old rather than a small child. Will roll up legs to make it work. Definitely worth the money. Great quality. Looks authentic. My 7 year old loves it! !